In the early days of your business, the goal of your marketing program was essentially a singular one: you tried to get your product or service in front of as many eyes as you possibly could. Once you've established yourself, however, it's time to switch gears a little. According to most studies, it's between five and twenty-five times more expensive to gain a new customer than it is to keep one of your existing ones. This means that if you're not already making customer loyalty a significant part of your marketing efforts, it's about time to get going on it. When you begin to institute a customer loyalty program for your business, the biggest mistake you should avoid is one of perspective. Remember that what you're trying to do is show loyalty to your customers, period. 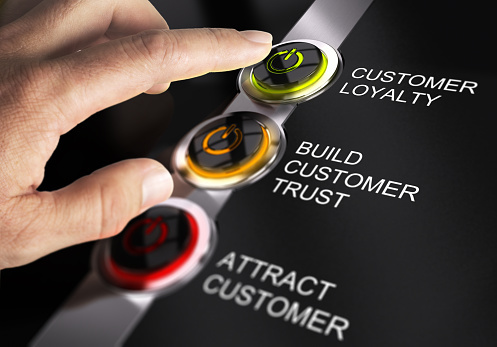 Far too many businesses make the mistake of assuming that this is a way for customers to show loyalty to a brand, which leads to the type of ill-advised thinking that generates bad customer service and only ends up with a program few people want to take advantage of. Assuming that you're "giving your customer the opportunity" to show loyalty to your business is how you end up in a situation where forty-three percent of consumers say that rewards programs require too much spending to reach the next level, or where points expire before they can be used, or where points are worthless because of all the restrictions they come with. Build a program that lets you say an emotional "thank you" to the people who got you where you are, NOT the other way around. If you are going to make customer loyalty a bigger part of your marketing efforts, however, always remember the old saying that "variety is the spice of life." In a survey conducted by Collinson Latitude, sixty-three percent of respondents said that having a wide range of rewards and offers was the single most important aspect that decided whether or not they would sign up for a loyalty program. So the occasional coupon isn't necessarily going to cut it (pun absolutely intended). Again, making customer loyalty a bigger part of your marketing efforts is, and will always be, about giving back to the people who helped build your brand. If you make every decision with this one simple perspective in mind, all of the other benefits - from increasing the value of each customer to engagement and long-term loyalty - will happen as a happy byproduct.